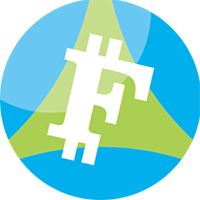 FujiCoin, (symbol FJC) has been in the crypto world since 14th June, 2015 and runs without being controlled by a central bank or single administration. The decentralized digital coin uses the proof of work (pow) consensus and it is mineable, using the Scrypt-n algorithm. For the latest from FujiCoin, you can find them on social network sites, such as Twitter. We don't have any cloud miners listed for FujiCoin yet, check back soon! We don't have any exchanges listed for FujiCoin yet, check back soon! We don't have any wallets listed for FujiCoin yet, check back soon! We don't have any debit cards listed for FujiCoin (FJC) yet, check back soon! We don't have any price charts listed for FujiCoin yet, check back soon!